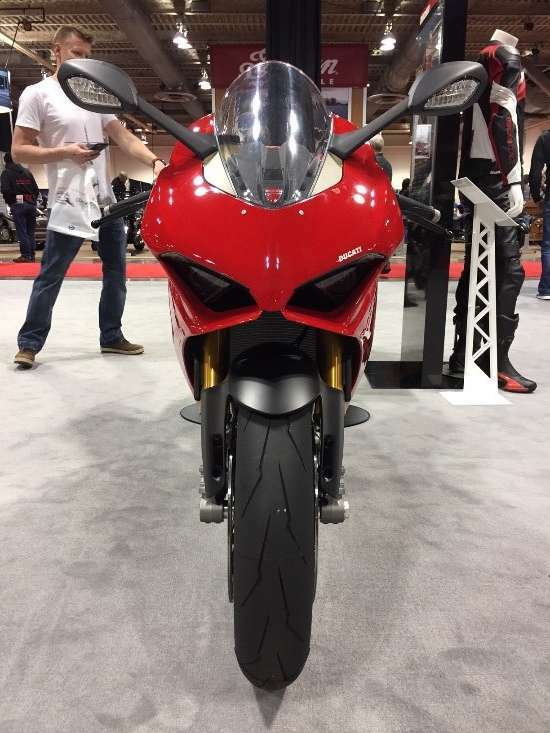 HomeNewsEventsThe Motorcycle Shows: Calgary Review – New Model Fever! It is the Motorcycle Show Season! 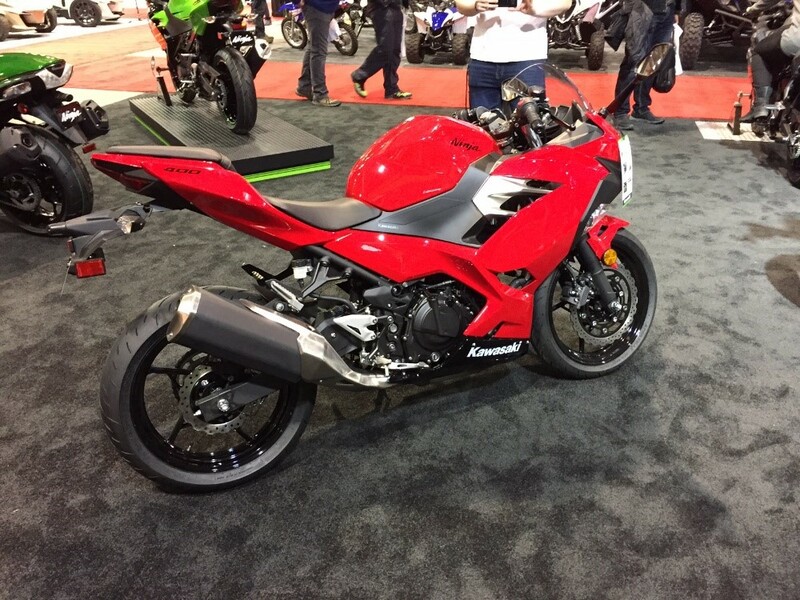 This past weekend the Canadian Motorcycle show season kicked off with a large and well represented show in Calgary Alberta. Calgary is historically the first stop on the Canadian show circuit which is great for Calgarians as they get first peak at many new models, however it is often just a little too early to catch them all. No matter – the local riding community was at a fever pitch with anticipation following several weeks of extremely cold weather and large snowfall accumulations, and there were several peripheral pub nights and get-togethers to celebrate the occasion. The riding community in Calgary is strong, as evidenced by several large and successful dealers, and the sheer number of riding clubs and members. Not only are there large dealers for all Japanese makes and American makes, but most European makes as well. Kawasaki, Suzuki, Yamaha, BMW, Triumph, KTM, MV Agusta, Aprillia, Moto-Guzzi, Harley Davidson, Indian and Piaggio, are all available in significant numbers and volume to well represent each brand. The legacy of the oil money is strong in this town, even following a couple of years of economic hard times. 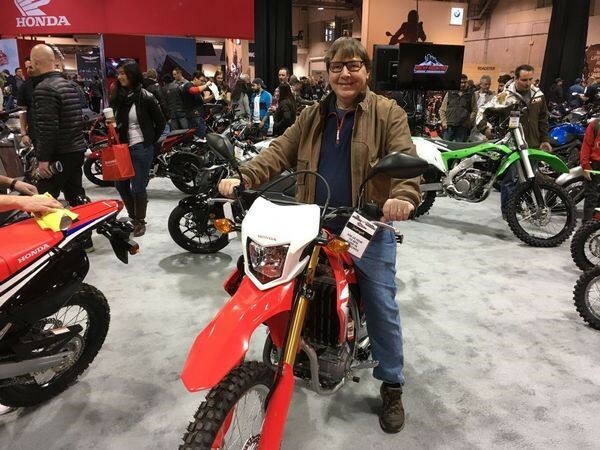 2017 was a particular bad year for power-sport sales in Alberta, yet there was resiliency and optimism demonstrated by the vendors at the show. While a few significant new models made an appearance to help satisfy the hunger of the enthusiasts, there was unfortunately other highly anticipated new models missing in action. 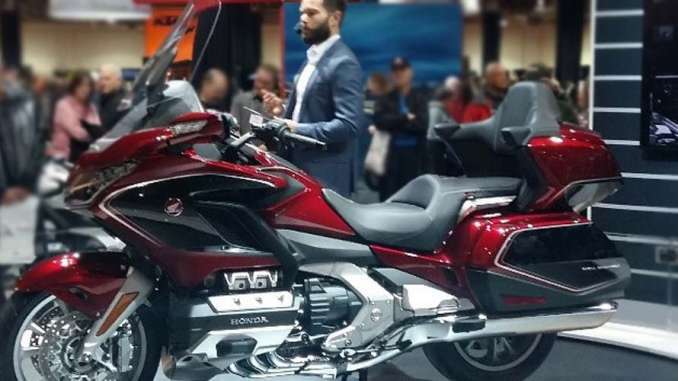 Whether you are a fan of the model or not, it’s difficult to disagree that the 2018 Honda Gold Wing stole the show. 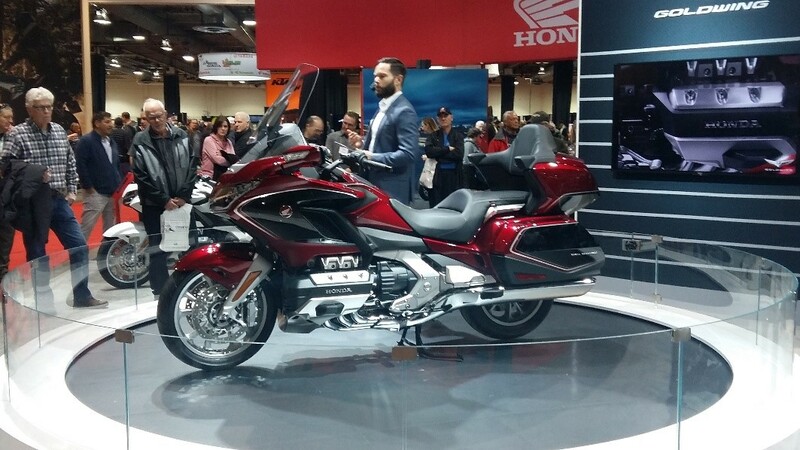 The success was strongly assisted by the way in which Honda represented the iconic model on a rotational display podium and regular information sessions provided by a well-informed gentleman in a suit. There were no luring models in slinky dresses (ala Ducati), just a continuous large crowd of very interested gentlemen-of-a-certain-age. Even as someone who has had little interest in the Gold-Wing in the past, it is easy to appreciate the improvements and refinements in this model. Not only is it visually much sportier, it is also a full 88lbs lighter than the previous generation! The newly realized light weight was immediately apparent in how shockingly light it is to move off the side stand compared to previous versions as well. 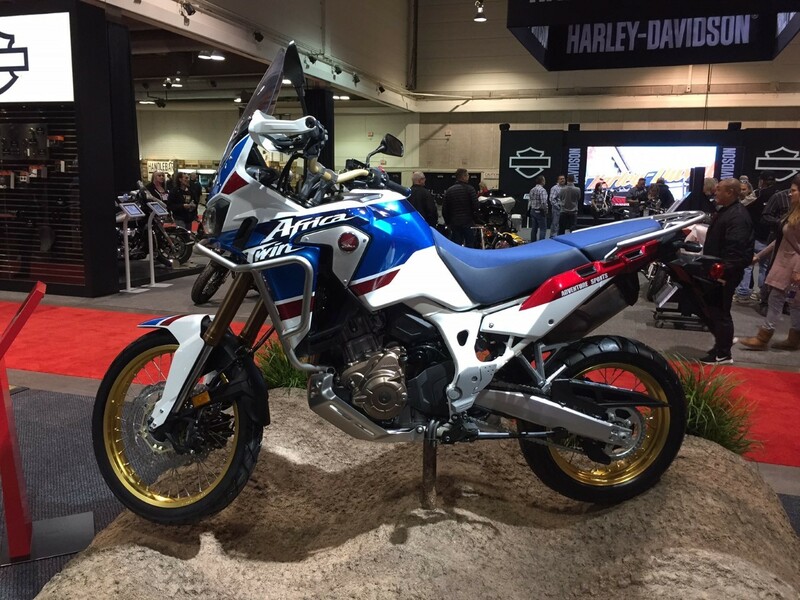 The L2 Adventure Sports version of the Africa Twin was also present but surprisingly there was only passing interest from the crowd. It’s a great looking bike (I’m a little biased – I have a 2016). For 2018 all Africa Twins are updated with ride by wire and three additional ride modes but still suspiciously missing cruise control. The muffler has been tuned “for more aggressive howl”, and an updated dash is present. The L2 comes with additional suspension travel front and rear, larger faring and windscreen, and a nearly 30% larger fuel tank. 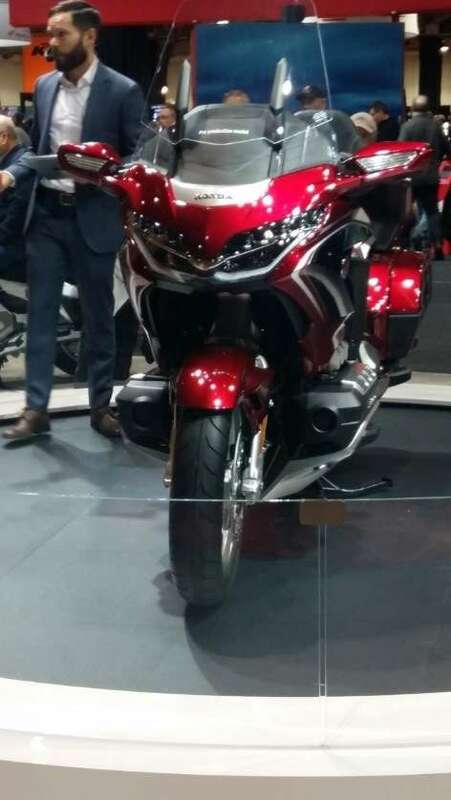 Also found at the Honda booth with very little hype were the new semi-retro styled CB1000R and CB300R, – two models with strong potential to shake up their respective classes. The CB1000R was a bike that I personally was eager to see but it was the CB300R that punches much above its weight looking far more expensive than I anticipate it will be. Kawasaki also strongly delivered the goods with two versions (black and orange) of their highly anticipated Z900RS. The bikes not only look retro but feel retro as well. 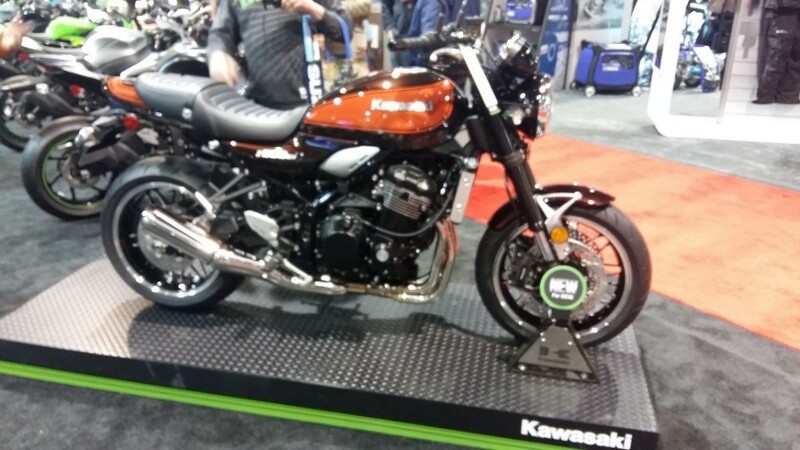 Kawasaki appears to have hit a home run, but it will be up to buyers to decide if the significant premium being charged over the standard Z900 for a less powerful retro model is worth the asking price. The new Ninja 400 looks to be a winner too. Lighter and much more powerful than the Ninja 300 that it replaces, it has potential to be the beginner bike that appeals to all levels of riders. 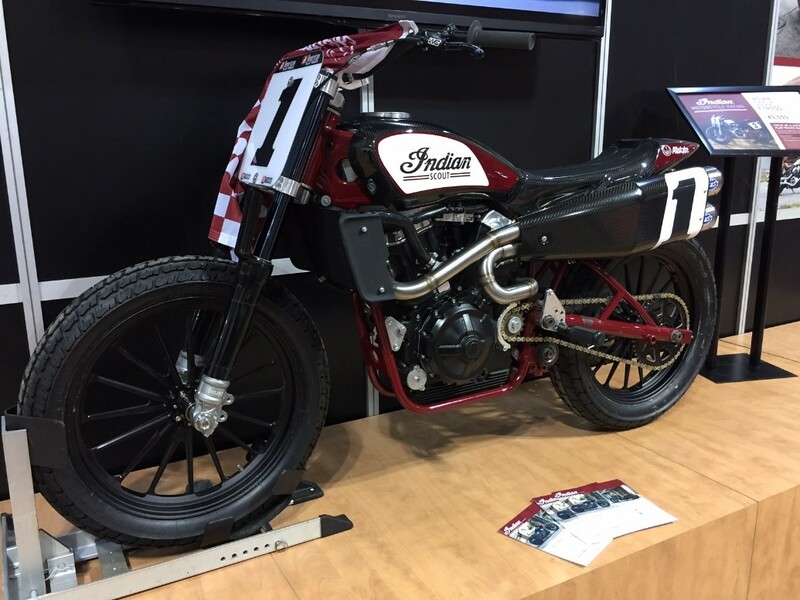 Also wowing the crowd was the dirt-track dominating Indian FTR750 race bike. Clothed in beautiful carbon fiber, this is one stunning motorcycle. Hopefully a street version looking as similar as possible is in the works. Over at the Ducati area the biggest news was the new Panigale V4S. At 214 hp. and 384 lbs. the specs say that this will be a fantastic motorcycle. The styling that appears to be so similar to the outgoing 1299 L-Twin in pictures, is actually subtlety evolved enough to slowly lure you in. As your eyes pass over the blood-red beast from Bologna you slowly notice the details that make this such a work of motorcycle art. This is most prevalent in the front cowling which has an evolved yet distinctive profile unlike anything else. Triumph looked to be largely dealer supported with nothing new to display. With revised Tiger models on the way, fans of the marque were quite disappointed in the showing. On a similar note the latest generation F750GS and F850GS BMWs were also missing in action, however BMW somewhat made up for this with a very comprehensive both displaying all other models. The one bright spot was the new 310GS and G310R models in attendance. While they have been in dealers for a month of two, the crowds around these bikes indicate that they will be huge sellers for the brand. KTM while present, was also missing anything 790cc related. The new 790 Duke has had nearly two years of hype and preview teaser videos but is still not available for the show circuit. 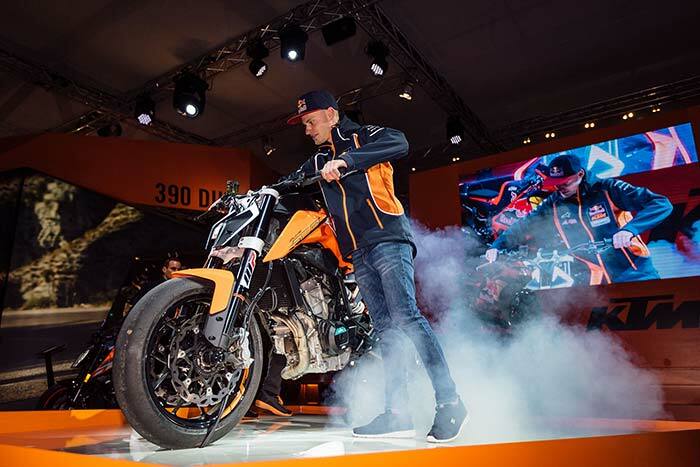 Fans continue to hold on to hope, but with so much new competition evolving KTM risks being left behind with an over-hyped still-born model when they finally make it to market. But enough of the critique! It was extremely reassuring that the industry has the confidence to continue to provide quality shows of this caliber even in challenging economic times. Your $15 not only lets you see most of the latest and greatest new rides, but also an incredible stunt show and significant show saving specials on non-current models. What better excuse to get together with your buddies and swap riding stories in the middle of the big freeze in January?